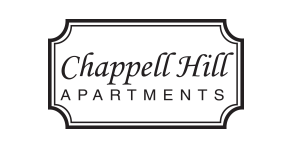 Welcome to your new home at Chappell Hill Apartments. You’ll fall in love with our beautiful, gated community and its serene setting. Relax and unwind while you enjoy gorgeous landscaping, green lawns and all of the natural beauty we offer at Chappell Hill. We welcome you to stop by for a tour to see our recently renovated apartments featuring granite countertops with a subway tile backsplash, cabinet upgrades, stainless steel appliances, and more.